Reading about and watching on video just where this kid is at the age of 12 as far as creating her own videos go was well… it was just plain depressing! Not being one to feel depressed alone I though I would put it at the top of this weeks roundup just to make sure you could get to share the same feeling! Really… no need to thank me! Now admittedly young Trinity (the girl in the article and video) has a bit of a head start given that her Dad is already a movie director… but! All the same she is doing some pretty amazing work and is well worth taking a look at. The simple truth of creating videos and putting them online is that there will always be idiots who want to do nothing but… well, be idiots! The one and only reason that trolls troll is to evoke a reaction and to the uninitiated it can be quite upsetting to experience this behaviour for the first time. There are some definite “Do’s and Don’t’s” when it comes to handling haters and trolls which are universal and easy to follow. 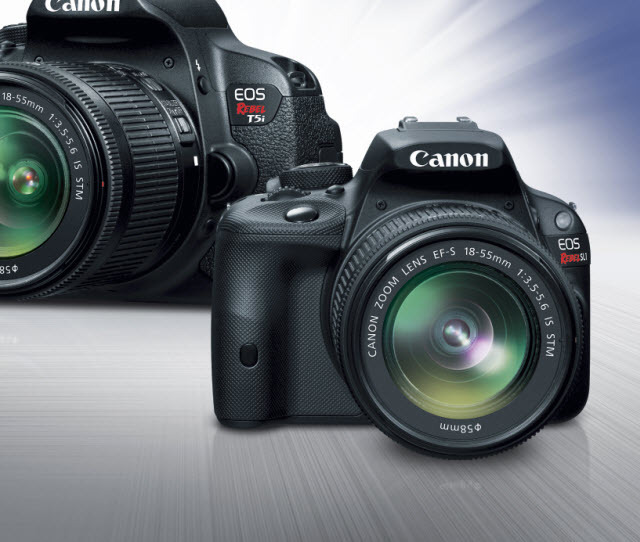 Good review here from Dave Kaminski on the new Canon Rebel SL1 which is the smallest DSLR they have released so far. This one is getting down to the size of the Sony NEX range although obviously not as small because of the DSLR configuration. Probably the key point I gained from the review is that although it’s a great little camera with awesome video capability there are other choices around that offer better bang for your buck. Basically they are beginning to offer a paid subscription service to certain channels so that access to these channels is a paid model rather than trying to monetize through advertising. As it stands the program is a pilot only and it remains to be seen whether they will ultimately make it a more widely available choice. It does however clearly show that YouTube are seriously in the hunt to make themselves a viable alternative to TV. Although most of us would hardly be making the kind of video project that would warrant the need for a “behind the scenes” video or a “making of” type promo piece there is always something to learn from checking out how the pro’s do it. An informative article analysing some of the key points that go into making a trailer for a movie offering plenty of takeaways you may be able to apply to your own projects. Given that the GoPro is pretty well dedicated to action video capture it is understood that any cam stuck on your head is going to result in a lot of camera shake! There are situations where the use of a GoPro can be far more controlled especially when shooting handheld footage. If at all possible some kind of physical stabilization is desirable and this little hand Steadicam looks pretty good. This week another good video from Lynda.com on setting up for an interview type video offering advice on how to prepare for a video that will encompass dealing with a client or others within the process. I came across this article written in the last few days which sheds a great deal more light on exactly what would drive a decision like this for a company like Adobe and what we may expect in the future. Previous Post: « Editing Software Basic Version or Advanced Version?